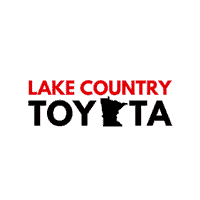 Whether you have purchased your vehicle from us or not, Lake Country Toyota is your #1 destination for auto service and repair in Baxter, MN. Our team of specially trained technicians have the know-how and tools at their disposal that enable them to provide quality repairs and maintenance for all of our clients during every visit. Our Toyota service center features the latest in automotive repair and maintenance technology. Schedule your next service appointment below, and we’ll contact you to confirm the details. Minnesota’s beautiful scenery is a sight to behold. Cruise past our picturesque lakes and parks in a sleek new car. 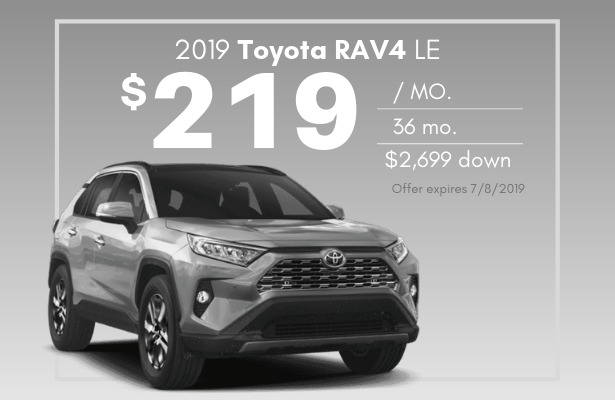 Lake Country Toyota offers deals on NEW and USED TOYOTA MODELS. We’re a high-quality dealership serving the Grand Rapids, Longville, and Brainerd communities. Our superior sales team’s only goal is to satisfy our customers. Ultimately, they like to see each person who walks through our doors drive away with a smile on his or her face. Our new and pre-owned Toyota selection is presented to you with our best prices first. This negates the need for haggling, hassling, and negotiating, thus simplifying the car buying experience. When you shop with us, our sales team will work with you to find the right vehicle to meet your budget and needs. They’ll talk you through our low-interest rates, leasing options, and FINANCING choices to arm you with information before making a final decision. After your purchase, we guarantee we’ll be here if you hit a bump in the road. Our expert TOYOTA SERVICE TEAM knows every nook and cranny of your vehicle. Whether you need minor maintenance or major repairs, they can put your mind at ease. If you prefer to get under the hood yourself, we have an expansive inventory of OEM TOYOTA PARTS in stock. Your Toyota is our specialty, so we’ll get you back on the road to Crosslake, Breezy Point or Crosby in no time! We know how much you depend on your car, and we hope you’ll put your trust in us to take care of all your automotive needs. We welcome our neighbors from Ironton, Aitkin, Garrison and beyond to visit our Toyota dealership, conveniently located on the west side of Highway 371, just south of Pine Beach Road in Baxter. Stop by to test-drive your favorite model today! Great service. Bought a vehicle and they always are kind and courteous when I bring it in for service. Great employees and a great team. I don't see my family buying a vehicle anywhere else in the future. That's how great they have taken care of our vehicle. Thanks to Brian at Lake Country Toyota for again, for the 3rd time, handling the lease on my RAV 4. I LOVE the RAV and have always had wonderful service from Brian, the service department, and management. They know me and what I want in my RAV and find one that meets all my needs and expectations. I will definitely continue to lease from Lake Country Toyota! The quality of service here is the best I have ever seen. From buying my car to the service department I can't think of anything I would want changed.